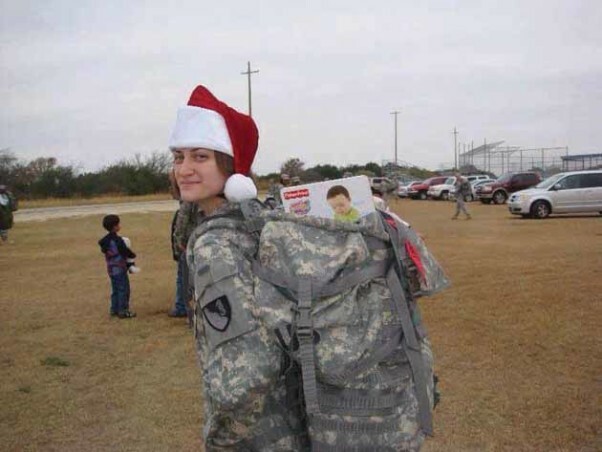 Brittney Weber plays Santa for a group of military children. Bill and Ted’s Excellent Adventure hit movie screens in 1989. This motion picture highlighted two high school seniors’ history project and how it turned into an excellent adventure. Meet Brittney Weber, whose young life, highlighted by her six years and one month in the Army can be called Brittney Weber’s excellent adventure. Her adventure began in San Antonio where she was born. Shortly after her birth, her family moved to Venus, Texas, a small town just south of Dallas, where she spent most of her grade and high school years. Weber’s years in high school offered her the unique opportunity to serve on the Venus City Council in her senior year. “I was involved in school activities and served as the first Venus High School student representative to the City Council,” she said. Her accomplishments in high school enabled her to be awarded a Navy ROTC scholarship to the University of Arizona, which would set the table for her future interest in the Army. After college in September 2008, it was time to begin a half dozen-year Army commitment she would look back on as the best years of her life. 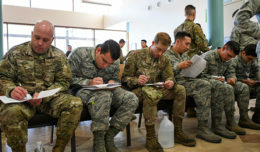 Weber debuted at Joint Base Lewis-McChord, Washington, with the Basic Officer Leaders Course, which included the Leadership Development and Assessment Course. BOLC One is considered part of ROTC prior to commissioning and the LDAC is the primary training all cadets go through before they are commissioned. This course provides much of the assessment for ranking to determine the commissioning assignment, she said. 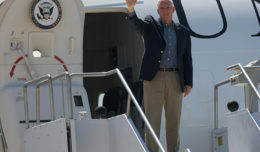 Upon completion of this course, it was on to BOLC Two at Fort Benning, Georgia, and phase three of BOLC at Fort Jackson, South Carolina, Phase three would conclude in January 2009, Weber said. 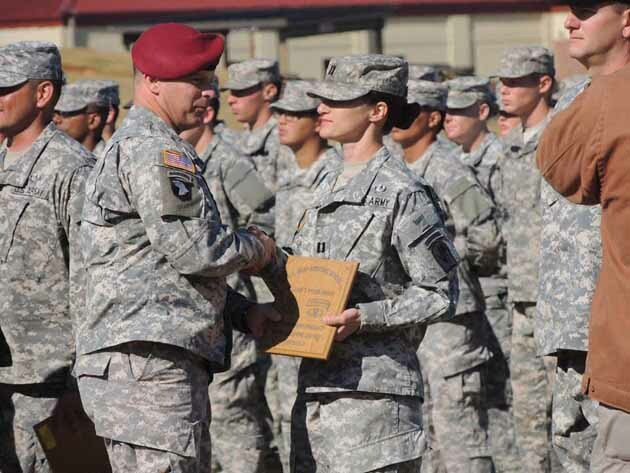 A short time later, she deployed to Forward Operating Base Sharana, Paktika Province, Afghanistan, from May to July as a second lieutenant as part of the 62nd Engineer Combat Battalion. 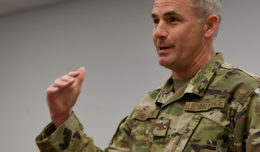 The battalion’s primary mission during her deployment was to teach the Afghans construction of infrastructure and how to establish a sustainable trade in the province, Weber said. What’s more, she said her time there was a time of education and growth. However, Weber said she would experience a far more dangerous situation shortly after returning from Afghanistan. She was at Fort Hood, Texas, when the Fort Hood massacre happened Nov. 5 that killed 13 and injured 33 people. “My unit was a couple of miles away, and I remember being on lockdown past 9 p.m.,” she said. “I was a second lieutenant trying to find out what was happening. I kept working and at the same time, I was trying to get updates on the situation. Weber was promoted to captain shortly before leaving Fort Hood in 2011. As a result of the promotion, it was on to Fort Jackson, South Carolina, to attend the Captain’s Career Course, a course which would involve academics, an area well suited to her skills. “I always loved school, so I felt comfortable with this course,” she said. “It gave me the chance to display my writing skills. Weber’s excellent adventure would accelerate with new assignments. 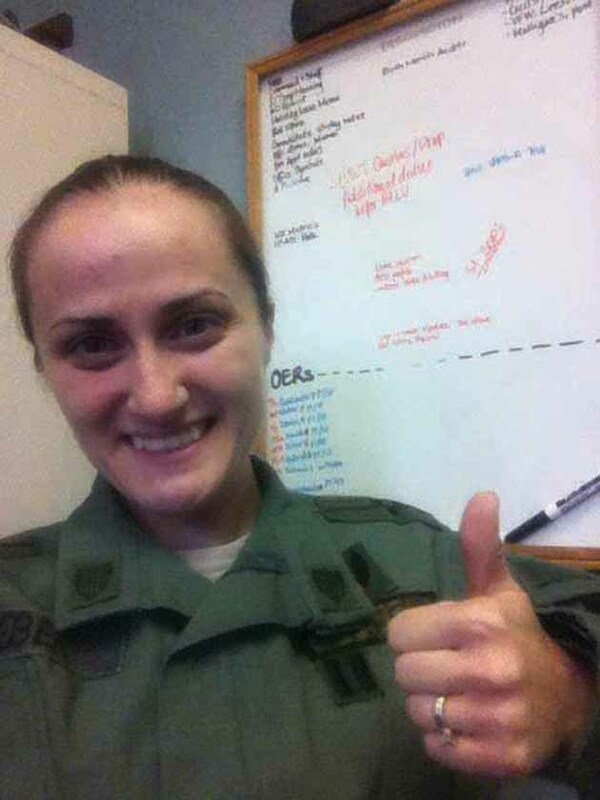 She described her next assignment as a turning point in her years in the Army, as well as her life. The 509th set the table for Airborne School at Fort Benning, Georgia, in October 2012. Not only that, she had her skydiving debut and on land, she bought her first motorcycle while at Airborne School. “It was the time of my life,” she said. Weber’s time with the Army came to an end in October 2014, but the memories of her six years live on forever, she said. Although, Weber has left the Army, she said it profoundly shaped her future. Brittney Weber trains for her first jump. Brittney Weber receives the Officer Honor Graduate certificate for her class at Airborne School.